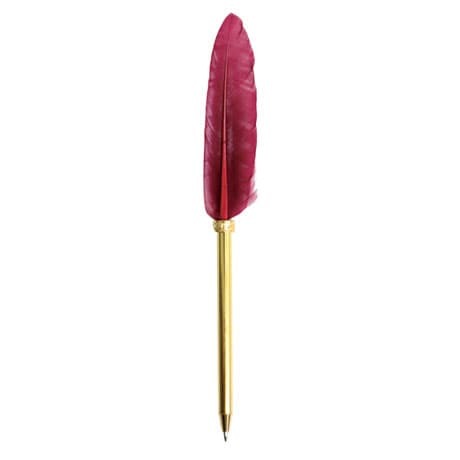 Our gorgeous Feather Pen combines the classic beauty of a quill with the convenience of a modern fine-tip ballpoint pen. This striking instrument features a beautiful 3¼"-tall gold grip topped with a claret-colored 3½"-tall plume, and writes with smooth black ink. Gift this elegant accessory to the teacher, writer, or bird lover in your life, or buy one for yourself to add a touch of class to your list-making!